GRAVITY ZERO SPORT & TECHNICAL DIVING is the specialized branch for technical and sport diving supply. SPORT & TECHNICAL DIVING line is intended for very demanding divers interested in performance, comfort and functional design. We offer solutions for specific needs: from comfortable temperated water dives to long dives in very cold water; from recreational diving to technical diving. From the beginner to the most experienced diver we have tailored solutions. GRAVITY ZERO SPORT & TECHNICAL DIVING is OEM for compressed neoprene and trilaminate drysuit for sport and technical diving. GRAVITY ZERO DRYSUITS meet the CE EN14225-2 2005 and ISO 9001 - 2008 standards. Starting from the well tested and appreciated RANGER drysuit design we developed a complete drysuit range: CNX RANGER e TLS RANGER. GRAVITY ZERO SPORT & TECHNICAL DIVING is a technical buoyancy compensator manufacturer according to CE EN 1809 standards. The platform GZ HARNESS and GZ WING is compatible with most of backplates and harnesses on the scuba market. Our inox and aluminium backplate line is totally redesigned to be more functional and modular. Our attention to details is cleraly visible in the polished finish for inox backplates and laser branding each single unit. GRAVITY ZERO SPORT & TECHNICAL DIVING has added a wide range of scuba accessories to add more comfort for technical and sport divers. GRAVITY ZERO is also exclusive agent for: COCHRAN UNDERSEA TECHNOLOGY, worldwide leader in dive computer technology (with dive computers fully ISO 9001-2008 certified) and NORTHERN DIVER , worldwide respectd company specialized in drysuit and wetsuit fully ISO 9001-2008 certified. We work with the best to offer you, the diver, only the best! 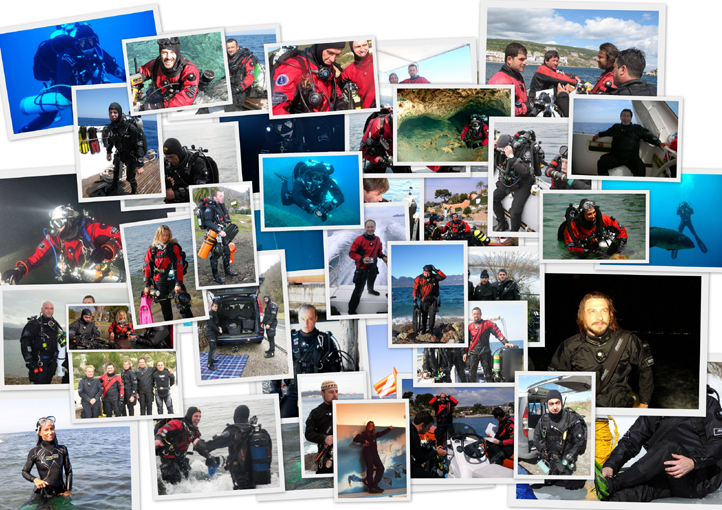 Presentime GRAVITY ZERO SPORT & TECHNICAL DIVING offers solutions for diving centers too. From basic equipments for scuba divers to extra specialized filling station for nitrox, trimix including oxygen boosters. If looking for some special solution feel free to contact our customer service at assistenza@gravityzero.it and we'll be more than happy to offer you concrete answers to your needs..
All diving equipments listed in our catalogue are CE EN14225-2 , CE EN250 , CE EN1809 standards conform.